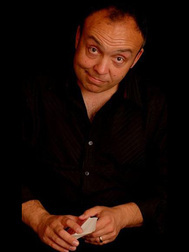 Wayne Fox has been a professional magician for over 25 years. He has performed at events across the UK and been the resident magician at some of the poshest restaurants in London and Essex, his home county. Wayne's first lecture tour, OutFoxed, was a complete success and toured throughout the UK. Over the last 10 years he has released over 20 unique and innovative magic tricks, designed with the working professional in mind. From his very first release Neat & Tidy to his newest lecture tour, ChatterFox, Wayne continues to go from strength to strength, creating and teaching hard hitting magic that will leave your audience baffled and wanting more!! "It was a great joy to see one of our own true Monday nighters, and my close friend Wayne Fox take to the stage last week. Wayne, ready to share his newest lecture, which is aptly titled ‘ChatterFox’ had a plethora of stunning new effects to entertain us with. Wayne opened with an incredible one coin production sequence that culminated with the appearance and disappearance of a jumbo coin, which deviously utilised the TKO gimmick. 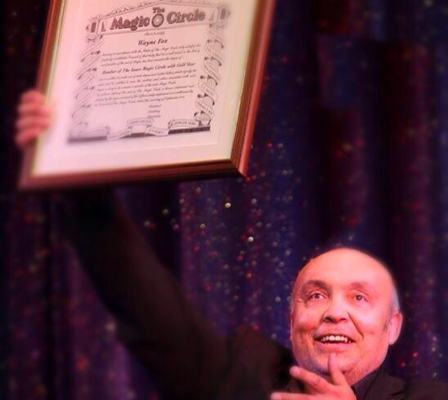 It seemed bittersweet that on the day Wayne took to the magic circle stage, one of his mentors, Bobby Bernard sadly passed away. However, Bobby’s magic lives on, Wayne described one of his first real experiences of witnessing magic was watching Bobby in Davenports. A story of how Bobby could turn a dollar into a large dice had the audience enchanted and then when Wayne actually demonstrated the effect, producing a mini Rubik’s cube, the room was rapturous. Wayne carefully demonstrated his coin magic, the moves and the work behind them. The appearances and disappearances were beautiful, but it was the bits of business and subtleties that truly revealed Wayne’s expertise. During the lecture, through no fault of his own, Wayne actually had some microphone issues, however it was his quick wit and some hilarious on demand whistling that calmed the room as the sound was adjusted. Wayne’s magic is bold and two effects exemplified this. The first was a variation of Frog Prince, in which a folded origami card frog turns into the spectator’s signed card. The second is perhaps my favourite of Wayne’s repertoire, Full House. Here a number puzzle is mixed by the audience and the exact order of the puzzle is predicted by Wayne, not only that but for a final kicker ending, the order of the puzzle is actually a perfect magic square for the number 34!! It really is a show stopper! Finally Wayne closed with his newest effect, SafeKeeping, where a borrowed signed bank note vanishes and reappears sealed inside an emergency cash holder attached to your keychain. Wayne deservedly received a standing ovation at the end of his lecture, a rarity on a Monday night and it truly displayed how fondly the whole club thinks of him. 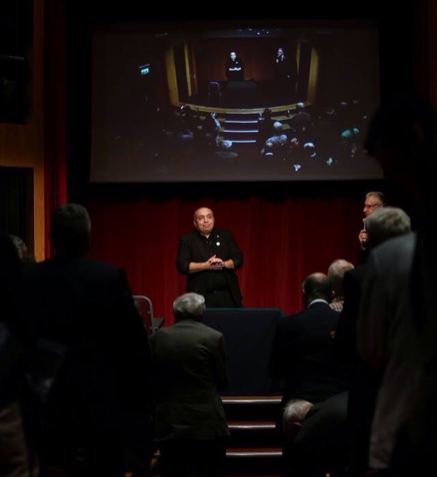 Wayne generously gave away his latest lecture notes to those in attendance on the night."